Mr McGinn does not explain why the statement of May Quinn , a family member who resided in the house, was not included with other family statements handed to the Gardai on July 15th. There is no record of when her actual statement was given to the Gardai. That is not so and in fact there are inconsistencies and contradictions on times and movements of people. Coupled with the medical evidence from various experts these statements are very much in doubt. In fact there are contradictions all over the place when you compare all the statements given to the Gardai. Obviously no one has ever bothered to examine them in detail. 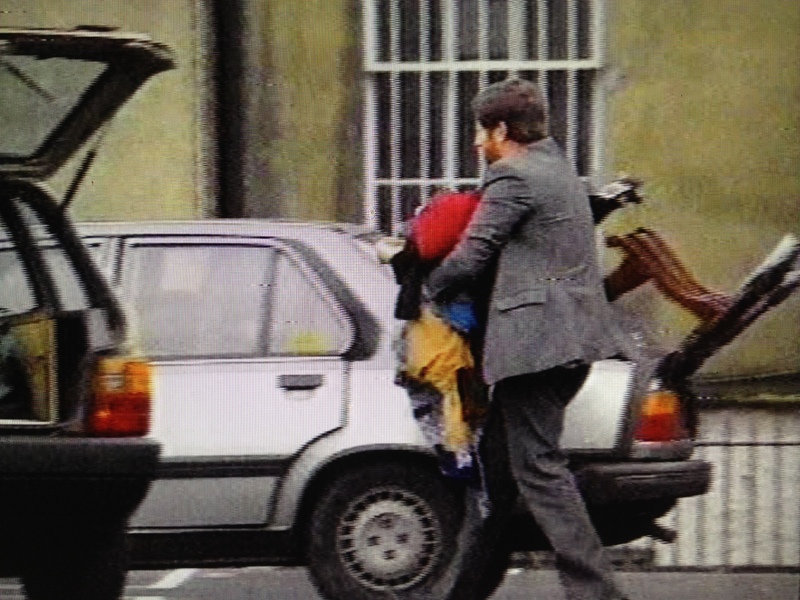 The picture shows my late brother Ian Maher putting Niall’s personal effects into his car after we collected them from a Solicitors Office in Baggot Street , Dublin. Most people don’t know that Niall had his own bedroom in the house in which he was beaten to death. It was almost a year before his personal effects were returned to us,including his Army uniform. We were very upset to find that his clothing etc were just in a heap inside the Solicitor’s office. Not even in boxes or plastic bags. THE FINAL INSULT. The Solicitor in question took most oft the Flynn family statements and acted on behalf of Richard Fynn at the Trial. He was later reprimanded by the Law Society and fined in the High Court for his handling of Niall’s affairs. He had perviously denied ever acting for Niall and at a disciplinary meeting of the Law Society he entered the meeting with Niall’s files which he refused to hand over to the family. RTE filmed Ian and myself collecting from the Solicitor’s Office. 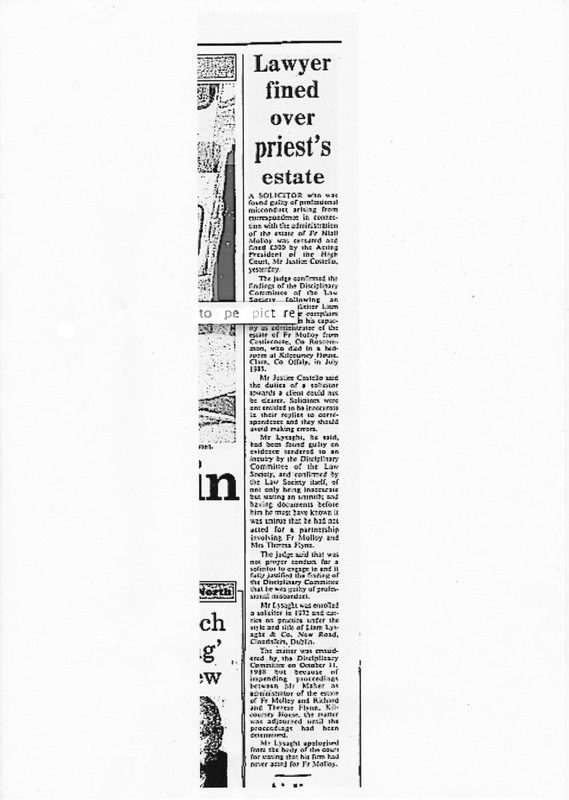 Niall’s furniture and personal effects from his house were removed by his parish priest Fr Jones and the family were not allowed access to them for three months. Another insult.